David E. Lewis, Attorney at Law, provides aggressive and strategic criminal defense representation for anyone charged with or suspected of a crime in Indianapolis, and throughout Indiana. 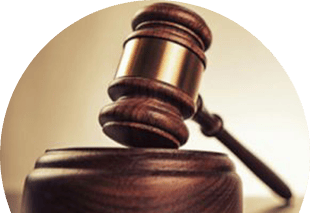 He and his team of experienced legal professionals aggressively fight to protect our clients’ rights, in order to obtain the best result possible. 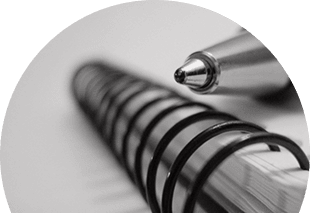 Our criminal defense law firm is highly driven, and committed to providing a superior level of service for those in need of a legal advocate. Attorney David E. Lewis is Indianapolis’ trusted criminal defense attorney with the drive, determination, knowledge, and experience it takes to navigate a client’s criminal case in the direction of justice and freedom. Call our office at 317-636-7514 and schedule a free consultation to evaluate your case today. Hire an experienced Criminal Defense Attorney to Protect Your Rights! A Knowledgeable Attorney Will Utilize the Legal System in Your Favor to Fight Your Charges and Obtain a Just Outcome! Even if you believe the crime you are charged with is too serious to avoid jail time or extended sentencing, just remember that you always have options. This is why you need the professional guidance of a licensed criminal lawyer that has your best interests at heart. Call Attorney David E. Lewis at 317-636-7514 for aggressive and skillful criminal defense representation in Indiana. When you are a client of criminal defense attorney, David E. Lewis, you can expect high standards from start to finish. He and his legal team provide professional 24/7 client communication and unparalleled client support. We understand that our clients’ needs don’t revolve around convenient office hours. This is why we are always available by means of email or phone, and remain prepared to take action whenever our client’s, or their case, calls. Our criminal law firm never cuts corners when it comes to criminal defense, and we will always go the extra mile for our client’s and their families. We leave no stone unturned when fighting our clients’ criminal charges. David E. Lewis, Attorney at Law, is eagerly determined to win an advantageous outcome in court for clients that have been charged or convicted of a misdemeanor or felony in Indiana. He uses his cunning knowledge of law, as well as his extensive trial and litigation experience, to aggressively represent his clients in both state and federal courts. If you have been charged with a crime in Indiana, Attorney David E. Lewis will fight to make sure your rights are protected. Our law firm understands that an arrest in the family is troubling, and everyone has several questions afterwards. This is why we work side-by-side with our clients from start to finish, guiding them throughout the entire criminal process safely and securely, all while working to win them a better outcome in court. We recognize that people make mistakes, and sometimes get caught up in the wrong place at the wrong time. 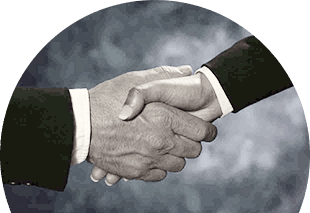 The law office of David E. Lewis is committed to being a strong and reliable helping hand that stays firm in order to safeguard our client’s legal rights and re-open doors for them so they may have an opportunity for a second chance in life. Our hope for all our clients is simple: That they may be reunited with their families and loved ones, and get back to leading a happy and law-abiding life after a distressing arrest. Attorney, David E. Lewis can accomplish this for many people charged with a crime in Indianapolis, Indiana. Call our Indianapolis office at 317-636-7514 to schedule a free initial consultation with criminal defense lawyer David E. Lewis today. Our Results Are Real. Our Victories are Real. You’re Not Alone. Help is Here for You. Talk to a Criminal Attorney Today.